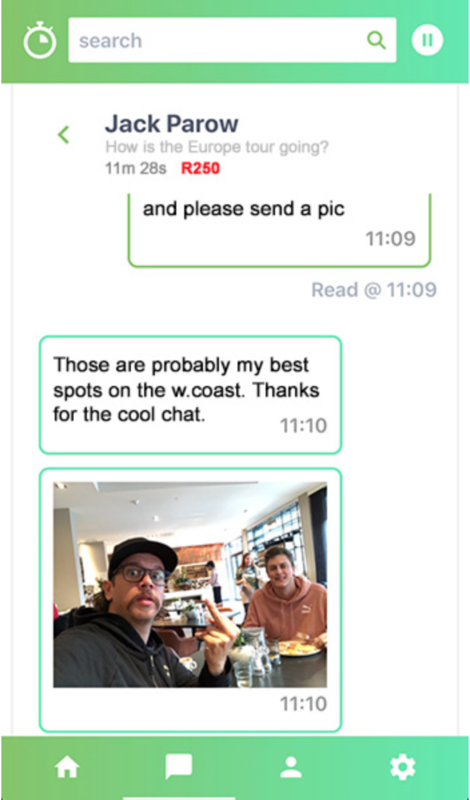 Launched in early March, Timon allows you to talk to experts and celebrities - at a price. Fees range from as little as R20 for six minutes to about R350. Gurus include the likes of Jack Parow, DJ Euphonic, Goldfish, Ard Matthews, Tracey McGregor, Bobby Skinstad, Stevel Marc and Kerry McGregor. 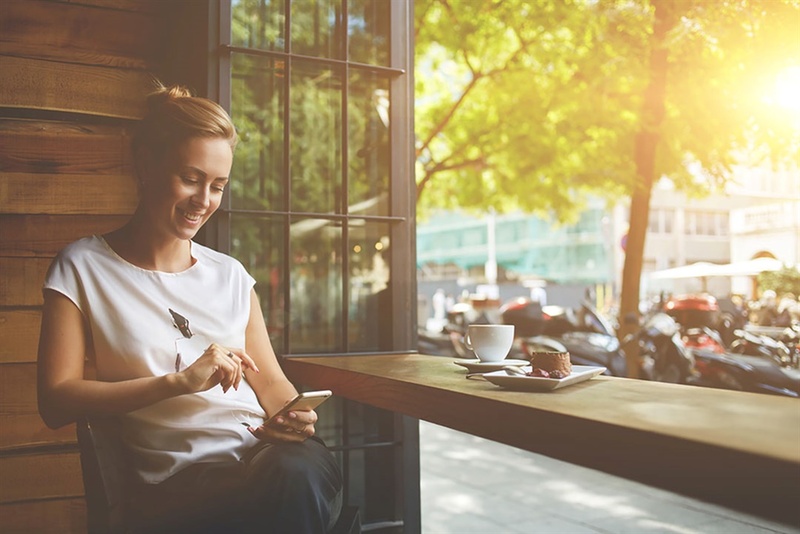 Time is money, and a new South African start-up is taking advantage of how we all want what we want, immediately, on the go, and preferably via our mobile devices. If you can buy your groceries, book a doctor’s appointment and even run your side hustle from your phone, then why not get professional advice too? Your own couch is probably more comfortable than your therapists, and it’s definitely better than your lawyer’s waiting room. Timon allows on-demand messaging between users and ‘gurus’. Available as a free download for Android on the Google Play store and for iOS at the App Store, Timon users are invited to engage with experts and pay them a fee for the privilege. Fees range from as little as R20 for six minutes to about R350. Experts set the fee themselves (UK film producer Mike Jeffries fancies himself at R1,850 for 6 minutes of his time). The average seems to be about R100 to chat with a professional and R250 to engage a celebrity. Timon was launched in early March and already claims to have 50 Gurus and about 600 active users. Currently, Gurus include the likes of Jack Parow, DJ Euphonic, Goldfish, Ard Matthews, Tracey McGregor, Bobby Skinstad, Stevel Marc and Kerry McGregor. It’s not all celebs though, there are lawyers, accountants, IT support professionals, dentists, plumbers and business coaches, to name a few. I decided to try the plumbing service on Timon. As a Cape Town resident, I’m quite obsessed with water saving and so grey water is the constant bane of my life. I’ve not been able to rid my home of the distinctive stink though, and no one has been able to provide me with a proper stink-proof solution. So I signed up to Timon to reach out to a willing plumber. Signing up took a while but was pretty painless, aside from the normal concern felt when handing over your bank card details to an unknown party. Within minutes I was able to select a plumber and request a chat with him. Be prepared, the chat may start immediately and there is a timer, ticking down in red, which is quite disconcerting. So know exactly what you want to ask, or be prepared to literally pay for your hesitation. You are prompted to ask a question, which is then sent through to the expert. The response took a relatively long time, and the timer keeps going. Suddenly the phone buzzes and the plumber is on the line. Initially the advice is pretty generic and I have to ask him three times for a specific brand name for the product he is suggesting. Eventually he provides me with a brand name and I end the chat within the prescribed six minutes, with seconds to spare. I have paid R50 for a brand name of a product he said would be available at my local super market. But I’m still searching.